When/Where and How Do I enrol for 2019? Enrolments will be accepted from 30 April 2018, online Education Directorate website (www.education.act.gov.au). You will need to also supply: Birth certificate, proof of residential address eg telephone or gas bill, copies of any family law or other relevant court orders and immunisation history. For further information please phone Fadden Primary School on 6142 2460. We are very proud of the way we have maintained an environment that is warm, welcoming, friendly and fun while always striving for excellence. 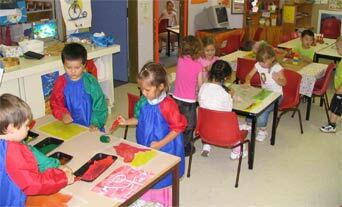 Preschools in the ACT are provided by the ACT Government, Fadden Preschool is part of Fadden Primary School. The Fadden Preschool Parent Association (PPA) and the Teacher in Charge work together to provide a stimulating environment for your child. Parents with enrolled children automatically become members of the PPA. The PPA and school board sets the voluntary contributions. We greatly value your involvement. There are many ways that you can support your child's Preschool education. Offering to help in the class on a roster basis with small group activities, craft, reading to the children, cooking. Excursions – for all excursions we are required to have 1 adult per 4 children. This means for each excursion we need at least 5 parents to accompany us. Sharing special skills and interests, playing an instrument, pottery, carpentry. Parent Committee - Keep up to date with what is happening at preschool and be a part of the decision making on how your contributions and fund raising are spent.